A pair of teenagers are set to face off at an upcoming Invicta event. 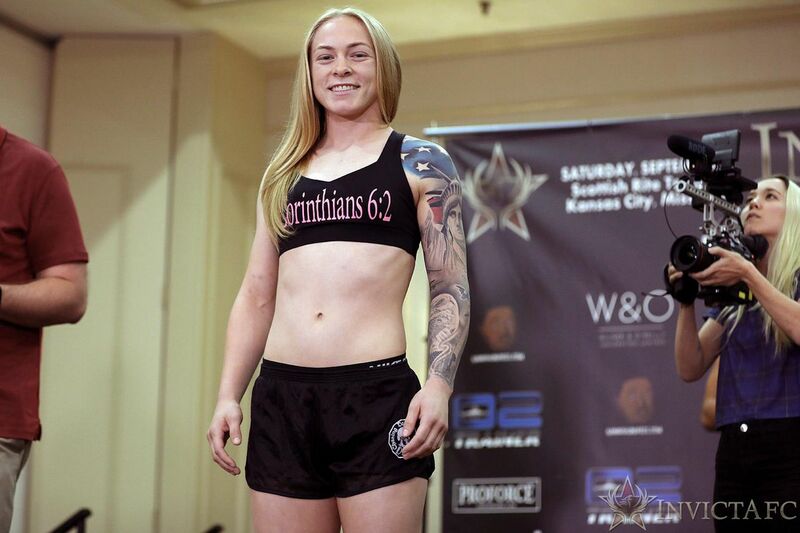 The promotion announced Saturday that 19-year-olds Kay Hansen and Erin Blanchfield have been booked for a flyweight fight at Invicta FC 32 on Nov. 16 at the Firelake Arena in Shawnee, Okla. Hansen is stepping in as a replacement for an injured Luanna Alzuguir. This is a fast booking for Hansen who made her Invicta debut on Sept. 1, defeating Helen Peralta by third-round TKO to improve her pro record to 3-1. Hansen has yet to go to the scorecards in her four-fight career, competing primarily at 115 pounds. Blanchfield is undefeated in two professional bouts. She debuted with Invicta in July at Invicta FC 30, earning a split decision win against Brittney Cloudy.